There was once a time when I taught that internet service providers (ISP) use to pay website owners money so that their users (the internet service providers clients) can have access to their website, and that the money is they pay is dependent on how much internet data (that is browsing data) the user spend on the website. I also use to think that free download porters are those who earn the more because downloading a file will make you spend more data on that website or blog than just reading through it's pages. In fact, I venture into blogging with this mentality. Provide free content and add adverts alongside it. Provide premium content (that is content that is paid for). Help other people sell their product through your website or blog. Ask you website or blog users for financial support through donations. 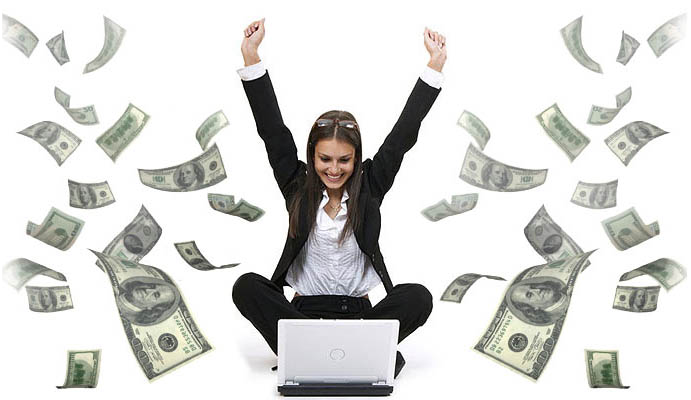 This are the ways in which website and blog owners earn money with their platform. Let me explain them. I make this the priority in my list because it is in fact, the widely and most popular way to make money from a website or blog. In fact this is what I am using. This first way is sub-divided into two categories. There are many advertising Networks that will pay a website or blog owner to allow them put adverts on their platform. Pay Per Click or Cost Per Click (PPC or CPC): this type of advertising network will place their adverts on your website or blog, but will only pay you when a visitor to you blog click on their adverts. Cost Per Mile (CPM): this type of advertising network pay you for depending on how many times their adverts appear on you website or blog and not base on whether your website or blog user click on it or not. Example of CPM advertising networks is Adfly. This one have to do with working with advertisers directly. This means that instead giving advertising network to contract to find advertisers and place it on your website or blog, you are the one looking for the advertisers yourself and is the one stipulating amount the advertiser will pay you before they you will place the advert on your website. This option can be very lucrative but it will be very difficult to get advertisers that will be wiling to place advert on your website directly without going through an advertising network. This option is very good, and indeed very good if only you have content worth buying. As you may already know, the internet is full of website and blog that provide web content absolutely free to users, so for you to say that you want to sell your content to your users, than you are sure to make the content worth buy. There are many ways you can create premium content, but the two most popular ones is for you to either create a website or blog that requires users to pay you cash before they can become members or to offer paid consultancy program, or you can write book or create your own product and sell to your users. This way of making money through a website or blog is popularly known as Affiliate Marketing. And this is mostly offered by e-commerce website such as Amazon, Ebay, and Walmart. There are more, but this are the popular e-commerce website you can because an affiliate marketing to. The ideal is simple, when you register with them, they will give you an affiliate ID, and when promoting a product which they sell on your blog, you will use you affiliate id or link to direct your website user to the e-commerce website. When the user make a purchase, the e-commerce website will pay you a commission at no extra cost to your user. Ask Your Website or Blog Users For Financial Support Through Donations. This might not be your best of options, but Wikipedia, Mozilla and the rest depend on donations from their users before they can earn. And in most cases, their users do make such wiling donations. So you too can create a donation button and ask that your website or blog users help you by making donations. You can set up a donation button using Paypal. This are the main ways to website and blog owners use in order to earn money with their platform. Is Affiliated Marketing Still A Good Way To Earn Money As A Blogger?